Greg - The Law Offices of Gregory I. McMurray, P.C. Gregory I. McMurray has been practicing law in California for more than 18 years and has significant trial and courtroom experience. During his legal career, he has handled more than 4000 cases and has argued over 350 motions . He has extensive experience with jury trials and has handled more than 100 court trials. Gregory I. McMurray is a native of Southern California and earned his bachelor’s degree in political science from the University of California at Los Angeles. After graduating from UCLA, Gregory I. McMurray attended the College of William and Mary where he earned his Juris Doctor degree. While living in Virginia, he clerked for a law firm specializing in family law. Upon his return to California, Gregory I. McMurray worked as a deputy public defender with both Kern and Ventura Counties. As a deputy public defender, he defended a wide variety of felony and misdemeanor cases, including domestic violence, sexual assault, theft, assault & battery, DUI and other alcohol and drug related offenses. During his time as a public defender, Mr. McMurray also spent significant time handling juvenile court matters. Throughout his career, Gregory I. McMurray has demonstrated a dedication and commitment to community service. 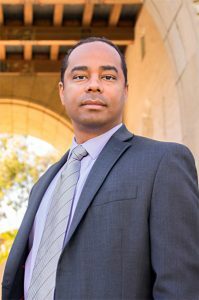 He has volunteered as an attorney coach for a high school in the California Mock Trial Program, worked as a Court Appointed Special Advocate, assisted in the dependency courts, and currently serves as a Judge Pro Tem for the Superior Court of the County of Santa Barbara. Gregory I. McMurray is an adjunct professor of family law and criminal law at the Southern California Institute of Law, he is a licensed California Real Estate Broker and a former board member of the Santa Barbara County Bar Association. Currently, Gregory I. McMurray handles all types of family law, criminal law and personal injury cases. In addition, he has a wide range of experience in the areas of estate planning, probate matters, guardianships, conservatorships, and juvenile dependency.